Mr Liam Morris, North Tipperary Vintage and Machinery Club member, pictured here presenting a cheque for €1,800 to M.B.L.L. Community Development. 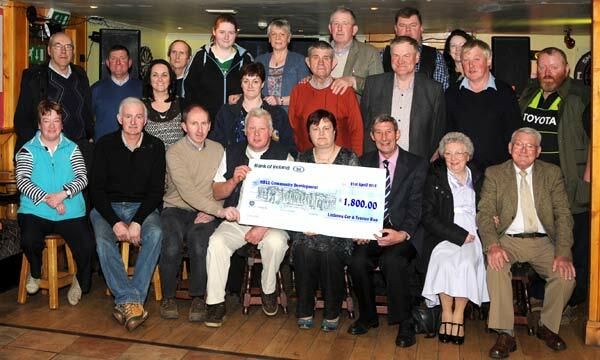 The funding was raised through a Vintage Car & Tractor Run, which took place on April 1st last. Presentation of the funds raised, were formally presented in Darmody’s Pub, Littleton, Thurles, Co.Tipperary and Mr Morris thanked all who had so generously supported this fundraising event. A great effort by “North Tipperary Vintage and Machinery Club” That is what the Thurles people are all about caring and thinking about others.